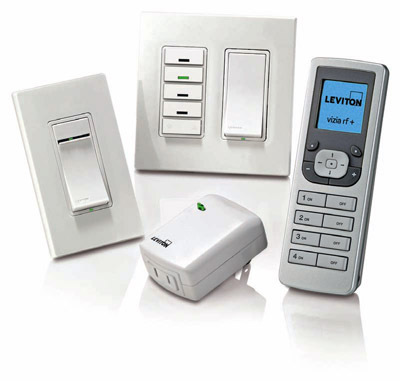 Leviton Vizia RF+ (Z-WAVE) — Best Lighting Control System? I get asked often what I recommend for lighting controls for home automation systems. My answer, Z-WAVE. I’ve been really happy with Leviton’s Vizia RF+ controls. In my own home I went with Lightolier’s Compose PLC system which I’ve been happy with, however, the price of the controls are much higher than the Leviton Vizia RF+ equivalents. The reliability hasn’t been an issue and the speed of the controls seems faster than traditional PLC systems. I’d love to hear your thoughts or recommendations so post a comment or two. For more information check out Leviton’s Vizia RF+ site.